NEW THING! HANNAH HEARTS THIS. Basically, an opportunity to show a few of my favourite frames off and tell you a little bit about why! So today I put up my sneak peak from Ro + James’ wedding at The Old Hall, Ely on Facebook and Instagram. It was such a gorgeous day in so many ways… they’re such a sweet couple and I LOVE that they never refer to their daughter by name, just as “the baby” and their wedding was stunningly styled… And it goes without saying that The Old Hall is a gorgeous venue. I have a love for Ely, having done my Year 6 Church project on the Cathedral back in 1997. I digress. If I have time to get a few bridal portraits before the ceremony, I will. Ro + James’ day was a super sunny one and the available window light was bright and hard to balance. 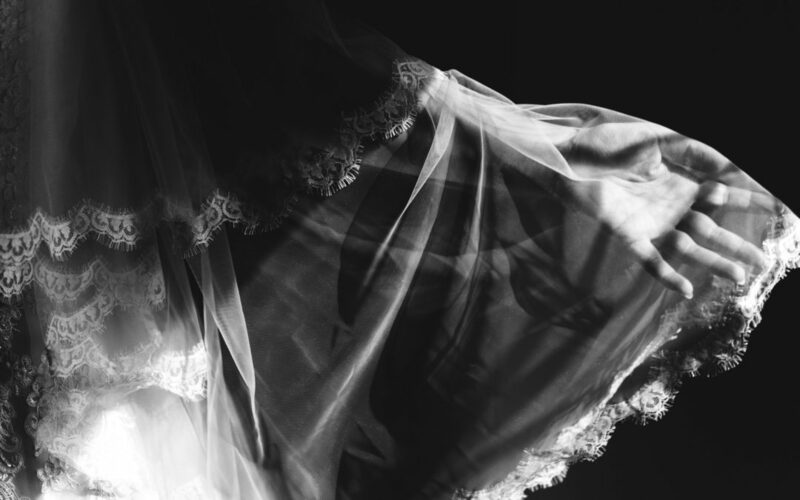 I’m trying to incorporate movement into my portraits when I can so I asked Ro to play with her veil, and being the sucker for hands that I am, I was totally drawn to the way her hands and veil caught the light. I’d forgotten about it until I opened up the files today and BOOM… I’m in love. I’m drawn to hands so often as I feel they tell us loads about relationships and emotions… Today, however, it was Ro’s gentle touch and delicate lace in contrast to the harsh light that makes me love it. Stay tuned for for more photos of this gorgeous day at The Old Hall, Ely.